Still dark outside and the Texas State Capitol is lit up with lights. 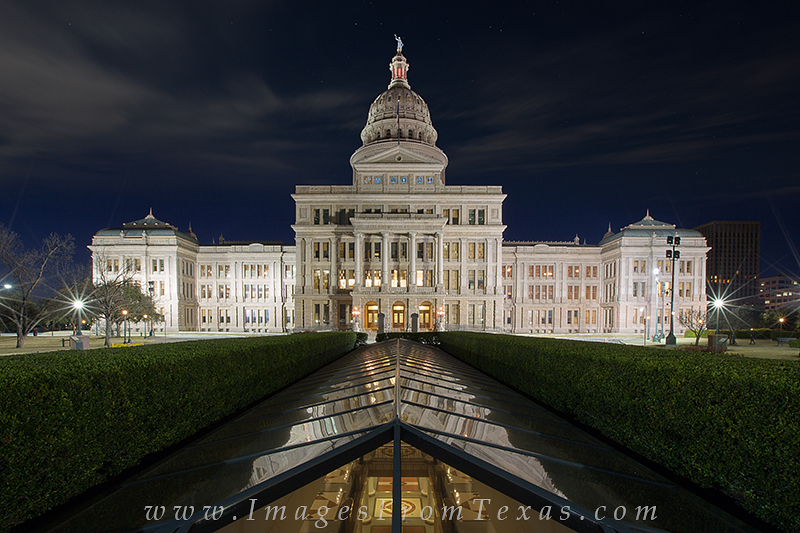 The grounds of the capitol building of the Lone Star State, located in Austin, Texas, were calm this morning. No wind, no folks around. This Texas image was taken well before sunrise on a February morning. Photo © copyright by Rob Greebon.